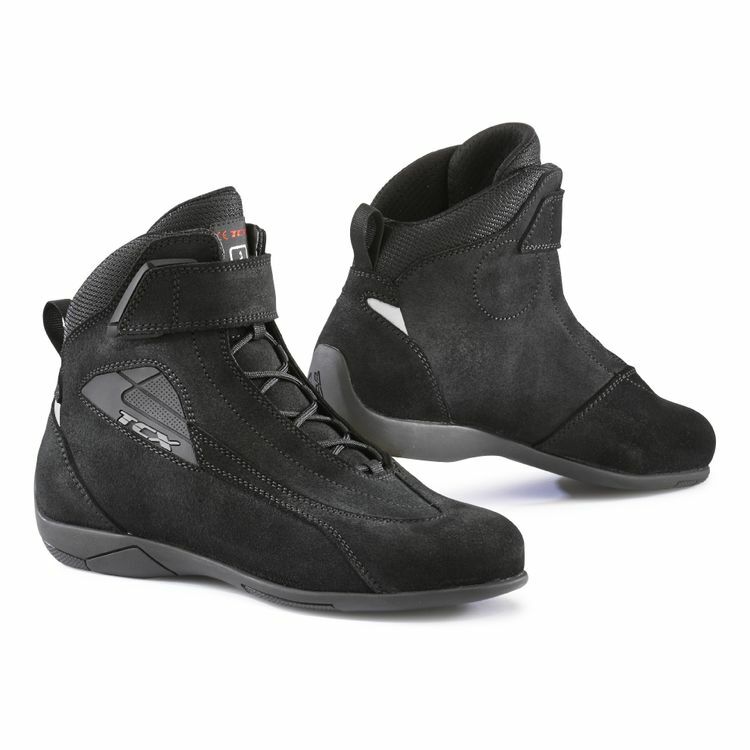 The TCX Sport Women's Boots are casual looking riding shoes with formal CE certified protection. Suede upper with matte microfiber inserts give the riding shoe a subdued look that hides its technical protective features. Malleolus reinforcement, back counter and toe reinforcement help to defend against common motorcycle injuries. Sporty styling in a low cut protective riding shoe make the TCX Sport Women's Boots a great option for commuters and urban riders who want casual looking protection.